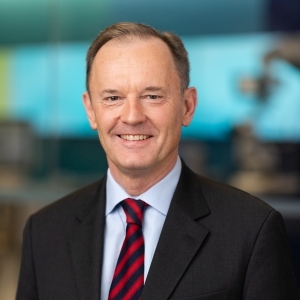 F. Michael Ball held the position of Chief Executive Officer of the Alcon Division and served as a member of the Novartis Executive Committee from February 1, 2016 until June 30, 2018. He previously served as CEO of Hospira, Inc. from 2011 to 2015. Prior to that, Mr. Ball held a number of senior leadership positions at Allergan, Inc., including President from 2006 to 2011. Before joining Allergan, Inc. in 1995, he held roles of increasing responsibility in marketing and sales at Syntex Corporation and Eli Lilly & Co. He began his career in the healthcare industry in 1981. Mr. Ball has served on the board of directors of several companies, including Kythera Biopharmaceuticals Inc., Hospira, Inc., IntraLase Corp. and sTec, Inc.
Mr. Ball holds a Bachelor of Science and a Master of Business Administration from Queen’s University in Canada. 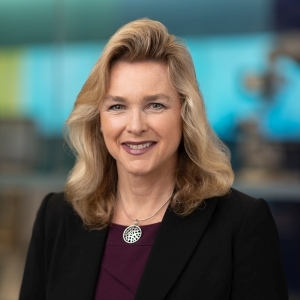 Lynn Bleil has been a member of the board of directors of Stericycle, Inc. since 2015, Sonova Holding AG since 2016 and Amicus Therapeutics, Inc. since 2018. Ms. Bleil has also been a member of the advisory boards of private companies Navigen Pharmaceuticals and Halo Neuroscience since 2016. She has also been a member of the governing board of trustees at Intermountain’s Park City Medical Center since 2014 and a member of the board of trustees of the U.S. Ski and Snowboard Team Foundation since 2014. 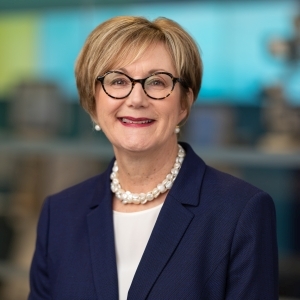 Ms. Bleil was a Senior Partner at McKinsey & Company from 1985 to 2013 advising CEOs and board of directors in the healthcare and life sciences industry. Ms. Bleil holds a Bachelor of Science in Chemical Engineering from Princeton University, U.S., and a Master of Business Administration in Health Policy from the Stanford Graduate School of Business, U.S.
Arthur Cummings, M.D., has been Consultant Ophthalmologist at Beacon Hospital, since 2007, and Owner and Medical Director at Wellington Eye Clinic, since 1998, both in Dublin, Ireland. Dr. Cummings holds a Bachelor of Science in Medicine and Surgery (MB. ChB. ), and a Master of Medicine in Ophthalmology (M. Med) from the University of Pretoria, South Africa. Dr. Cummings is a Fellow of the College of Surgeons in South Africa (FCS SA) in Ophthalmology, and a Fellow of the Royal College of Surgeons of Edinburgh (FRCSEd) in Ophthalmology. Thomas Glanzmann is the founder and has been a Partner at Medtech Ventures Partners since 2016. 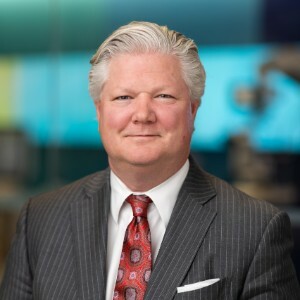 He has been a member of the board of directors of Grifols S.A. since 2006, including serving as Vice Chairman since 2017, and a member of the healthcare advisory board of Madison Dearborn Partners, LLC since 2011. He was President and CEO of Gambro AB from 2006 to 2011, and CEO and Managing Director of HemoCue AB from 2005 to 2006. Mr. Glanzmann was Senior Advisor to the Executive Chairman and Acting Managing Director of the World Economic Forum from 2004 to 2005. 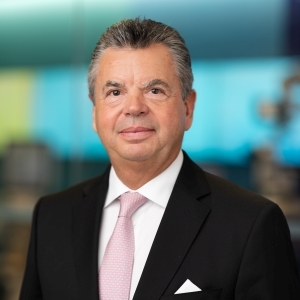 From 1988 to 2004, Mr. Glanzmann worked in various positions at Baxter International Inc., including President of Baxter Bioscience, CEO of Immuno International and President of Europe Biotech Group. In 2004, he was a Senior Vice President and Corporate Officer of Baxter AG. 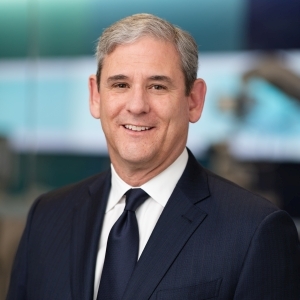 Mr. Glanzmann holds a Bachelor of Science in Political Science from Dartmouth College, U.S., a Master of Business Administration from the IMD Business School, Switzerland and a Board of Directors Certification from the UCLA Anderson School of Management, U.S.
Keith Grossman is CEO and President of Nevro since March 2019. He has been Chairman of the board of directors of Outset Medical, Inc. since 2014. 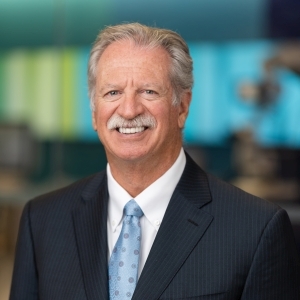 He has been a member of the board of directors of ViewRay, Inc. since 2018. He was President and CEO of Thoratec Corporation from 1996 to 2006 and from 2014 to 2015, and was a member of the board of directors from 1996 to 2015. He was a member of the board of directors for both TherOx, Inc. and Vyaire Medical, Inc. from 2016 – 2019. Mr. Grossman was CEO and a member of the board of directors at Conceptus, Inc. from 2011 to 2013. He was Managing Director and Senior Advisor at TPG Capital, L.P. from 2007 to 2011. Mr. Grossman also served as a member of the board of directors of Zeltiq, Inc., as Lead Director, from 2013 to 2017, of Intuitive Surgical, Inc. from 2004 to 2010, of Kyphon Inc. in 2007, and served on a number of private boards of directors. Mr. Grossman holds a Bachelor of Science in Animal Sciences from The Ohio State University, U.S., and Master of Business Administration in Finance from Pepperdine Graziadio Business School at Pepperdine University, U.S.
Until his retirement near the end of 2018, Scott Maw was Executive Vice President and CFO at Starbucks Corporation from 2014. He was also Senior Vice President in Corporate Finance at Starbucks Corporation from 2012 to 2013, and Senior Vice President and Global Controller from 2011 to 2012. Since 2016, he has been a member of the board of directors of Avista Corporation. 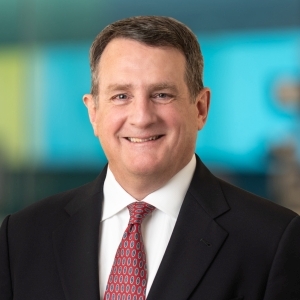 From 2010 to 2011, he was Senior Vice President and CFO of SeaBright Holdings, Inc. From 2008 to 2010, he was Senior Vice President and CFO of the Consumer Bank at JP Morgan Chase & Company. Prior to this, Mr. Maw held leadership positions in finance at Washington Mutual, Inc. from 2003 to 2008, and GE Capital from 1994 to 2004. Mr. Maw holds a Bachelor of Business Administration in Accounting from Gonzaga University, U.S.
Karen May has been a member of the board of directors of MB Financial, Inc. since 2004 and Ace Hardware Corporation since 2017. From 2012 to 2018, she was Executive Vice President and Chief Human Resources Officer at Mondelez International, Inc. (name changed from Kraft Foods, Inc. after the spinoff of selected Kraft North American businesses in 2012). From 2005 to 2012, Ms. May was the Executive Vice President and Chief Human Resources Officer of Kraft Foods, Inc. Between 1990 and 2005, she held various positions in Human Resources and Finance at Baxter International Inc., including Corporate Vice President and Chief Human Resources Officer and Vice President, International Finance. Prior to Baxter International Inc., Ms. May was a Certified Public Accountant in the audit practice of Price Waterhouse. Ms. May holds a Bachelor of Science in Accounting from the University of Illinois, U.S., and was a licensed Certified Public Accountant in the U.S. from 1980 to 1990. Ines Pöschel has been a Partner at Kellerhals Carrard Zurich KIG since 2007. 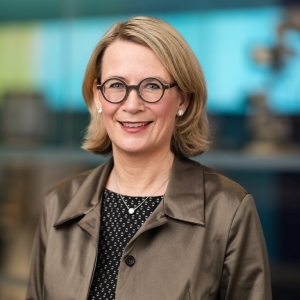 She has been a member of the board of directors of Implenia AG since 2016 and Graubündner Kantonalbank since 2018, and serves on the board of directors of various non-listed Swiss companies. From 2002 to 2007, Ms. Pöschel was a Senior Associate at Bär & Karrer AG. She was a Senior Manager at Andersen Legal LLC from 1999 to 2002. Ms. Pöschel has a Master in Law from the University of Zurich, Switzerland, and passed the Swiss Bar Exam in 1996. 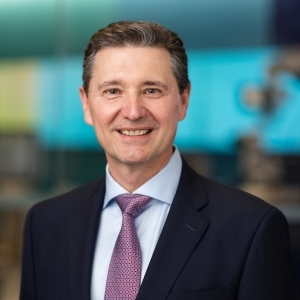 Dieter Spälti has been CEO and a member of the board of directors at Spectrum Value Management Ltd., Switzerland since 2006. He was Managing Partner from 2002 to 2006. He has been a member of the board of directors at LafargeHolcim Ltd. since 2003. He has also been a member of the board of directors at SCI (Schweizerische Cement Industrie AG) since 2003. Dr. Spälti has been Chairman of the board of directors at Dorsay Development Corporation, Canada, since 2003. He has also served as Vice Chairman of the board of directors at Grand Resort Bad Ragaz AG, Switzerland, since 2005 and Vice Chairman of the board of directors at IHAG Holding AG, Switzerland, since 2002. Dr. Spälti was a Partner at McKinsey & Company from 1993 to 2001. Dr. Spälti holds a PhD in Law from the University of Zurich, Switzerland.